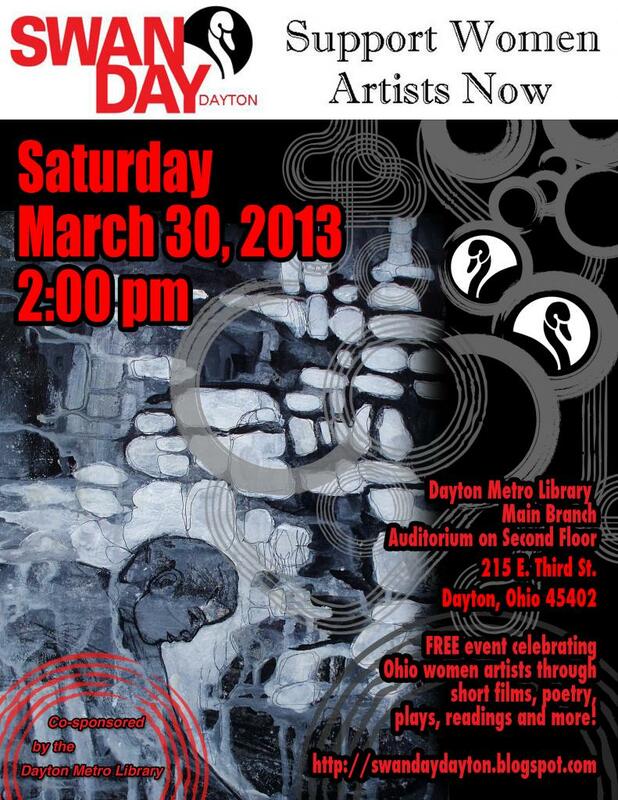 Building off of the success of last year’s inaugural standing-room only event, SWAN Day Dayton 2013 will be held on Saturday March 30th at 2pm at the Dayton Metro Library Main Branch Auditorium at 215 E. Third St. Join artists and community members in a celebration of Ohio female artists. The showcase is free and includes films, poetry, plays, music, dance, short stories and visual arts. Win door prizes from featured SWAN artists and local arts organizations! SWAN Day Dayton is part of an international celebration of women artists taking place on the last Saturday of Women’s History Month. There have been over 900 SWAN Day events in 23 countries in the first five years of SWAN Day.